Description: Sexes similar. 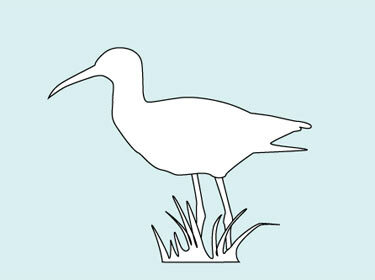 A small curlew with a relatively short, slender, and slightly decurved bill. Grayish-brown with buff mottling above; cinnamon underparts with buffy v-shaped markings on neck, breast, and sides. 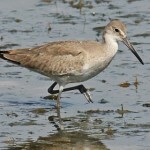 Crown is less strongly patterned than similar Whimbrel; and wing linings are pale cinnamon. Primaries are dark and unbarred, as opposed to Whimbrel’s barred primaries. 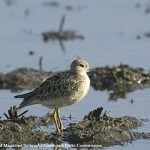 Habitat: When in Nebraska this species could be found on newly plowed fields and dry burnt-off prairies. Where in Nebraska: Extirpated from Nebraska. Used to be fairly common to abundant spring and fall migrant. Last known sighting in April of 1926 near Hastings. Status: Nearly extinct if not already. 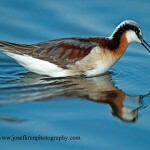 Fun Facts: At one time, it may have been the most numerous shorebird in North America.